Norman Hudis who is probably best known for his writing on the first six Carry On films, has sadly died aged 93 on 8th February 2016. Those six Carry On films are: Carry On Sergeant (1958), Carry On Nurse (1959), Carry On Teacher (1959), Carry On Constable (1960), Carry On Regardless (1961) and Carry On Cruising (1962). So you could say he had a major bearing on whatt became a hugely successful film series. Following that success he decided to move to the US where he wrote for several TV show. Some of those included The Wild Wild West, The Man from U.N.C.L.E and Hawaii Five-O. He continued to work in TV and theatre but it’s perhaps his work on those early Carry On films which he will be forever remembered. The Carry On films are still extremely popular across a wide range off ages. Norman Hudis has to take credit for some of their early appeal, although It should be said they really took off a few films later. You can see a change of style in the later films, with Sid James and Barbara Windsor. Take a look at the film trailer for Carry On Sergeant (1958) that stars William Hartnell, the first Dr Who! So what is your favourite Carry On film? Carry On Camping seems to the favourite here at Popcorn Cinema Show. Please feel free to add a comment. Oh and take a look at the rest of our site if you are new visitor, why not bookmark out movie releases page. Stay up to date with the latest releases. 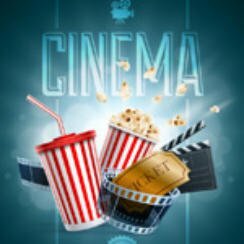 It is updated every Thursday, and while you are looking around take one of our movie quizzes.